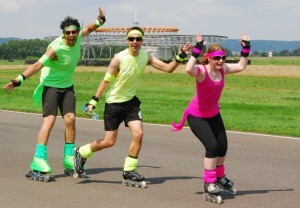 Goodwood Roller Marathon is a charity race around the historic Goodwood Motor Circuit. 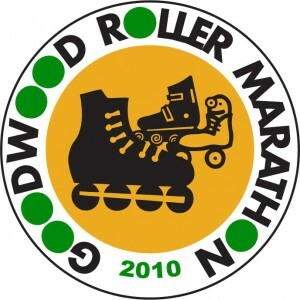 Organised by the Camberley Skaters, it is now the largest roller marathon in the UK. Which ever race you choose to enter you do not have to complete all the laps so why not set yourself a challenge, you may do more than you think! All skaters are welcome no matter what the level or style. It is a great day out and a perfect start if you are new to marathons. There is microchip timing of the laps as well as a medal for you to take home and keep. The Dual race (a double marathon of 22 laps = 53.24miles/85.68km) was a big hit last year so we are keeping things as they are for 2010. Of course we also have the Full Marathon (11 laps, 26.62 miles, 42.84 km), the Midi (5 laps, 12.10 miles, 19.47 km) and the Mini (2 laps, 4.84 miles, 7.74km). Registration for the event is currently open and it is cheaper to register before the day! To stay up to date with the latest news please sign up to the mailing list or follow us on your favourite social network.